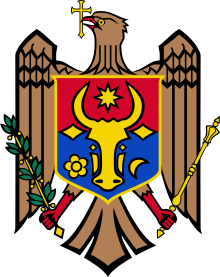 The Liberal Democratic Party of Moldova (Romanian: Partidul Liberal Democrat din Moldova, PLDM) is a conservative political party in Moldova. The party is led by Vlad Filat, who was Prime Minister of Moldova from 2009 to 2013. With 21 seats in the Moldovan Parliament, it is the largest of the three parties that make up the centre-right Political Alliance for a European Moldova government, in which party member Chiril Gaburici is Prime Minister. The party's founding congress was held on 8 December 2007 and Vlad Filat was elected as president. The initiative group of the party was initially centered on Filat, previously a prominent member of the Democratic Party of Moldova, who was disappointed with the direction taken by that political party under Dumitru Diacov's leadership. Soon, a large number of local branches of the Christian Democratic Popular Party, disappointed with Iurie Rosca's policy of cooperation with the Communist Party of Moldova, joined PLDM en masse. The party attracted a large number of prominent members of civil society. The National Political Council includes 201 members and the Permanent Central Bureau includes 21 members. ↑ "Partidul Liberal Democrat din Moldova (PLDM)". Retrieved 30 November 2014. 1 2 "Barometrul de opinie publică" (PDF). Institute of Public Policy. April 2013. Retrieved 12 August 2013.